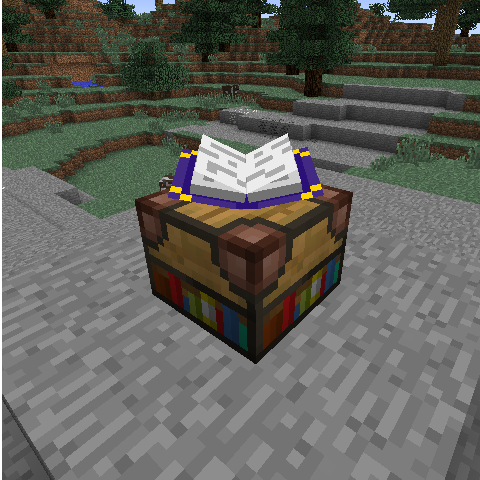 This mod allows you to define a list of achievements, which will be listed in a book the player can craft, read, and interact with. The achievements in the book have many formatting options, and can be designed in many different ways. It supports servers having different achievements, all achievements from a server will be sent to client players when they log in. This mod is featured in Bacon_Donut's SkyFactory modpack. To add achievements, first you must define the different formatting presets in "divConfig.json". There are some example formatting settings in the file by default. Next, in achievementList.txt, add achievements by entering text on each line, followed by "::" and then the div number. There are some examples of this in the file by default. Finally, there is a command added to refresh the achievements while ingame. Just run /flushAchievements and the data will be reset and re-read from the files. is this gonna be updated for minecraft 1.8.9?